Do your lips need a little protection? 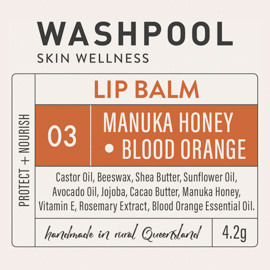 Our Manuka Honey & Calendula Lip Balms have been formulated to protect and moisturise the lips. They can also be used to moisturise dry, cracked hands. 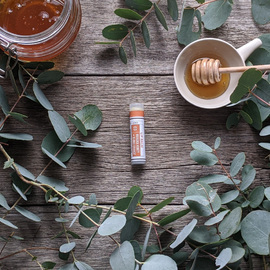 Manuka honey comes from beehives in New Zealand where the bees harvest honey from the manuka shrub. 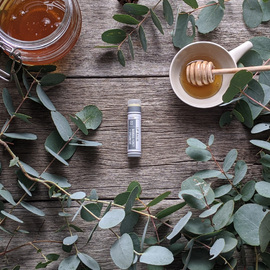 Manuka honey has been found to have highly therapeutic properties, including in wound healing. 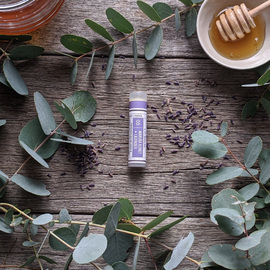 Beeswax helps solidify our balms and provides the skin with nutrients and a protective barrier. Castor oil comes from pressing the beans from castor bean plants. It acts as a humectant, which draws moisture to the skin and provides a protective barrier. It can be helpful for sunburn and other burns, skin irritation and inflammation. Shea Butter, Sunflower Oil, Avocado Oil & Cacao Butter deeply penetrate and moisturise to leave your lips smooth & soft. Jojoba oil is similar to the sebum in human skin, and can help with retaining moisture and preventing the growth of microorganisms. It is rich in proteins and minerals and can help soothe irritated skin. We use 100% pure cold pressed Australian Jojoba from Jojoba Natural, in South-east Queensland. Vitamin E is a fat-soluble antioxidant found in many fruits and vegetables and can help protect skin against free radicals. It can help with the appearance of blemishes. Rosemary Extract is a natural antioxidant, and helps keep oils fresh and extends their longevity. Calendula is soothing to dry lips, and also refreshes and protects your skin. 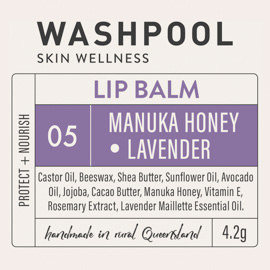 I've finally found a natural lip balm that moisturises my lips. It stays on the lips for a long time. It's been great for the cooler, dry months. I've just ordered another two tubs! !